We speak to the designer of the new swimwear label reaching cult status. It's not every day one of LA’s most influential bloggers takes over our fashion closet, but when she does, the results are seriously stylish. Here, a look at her favourite trends for spring. Much like the Tibi splatter-paint skirt and Kenzo sweatshirts, backpacks became an overnight obsession. The number of talented style bloggers around the world seems to grow exponentially each week, which is a great thing for us, because it means even more daily outfit inspiration! Whether they’re veteran muses or buzz-worthy up-and-comers, these girls know a thing or two about great style. 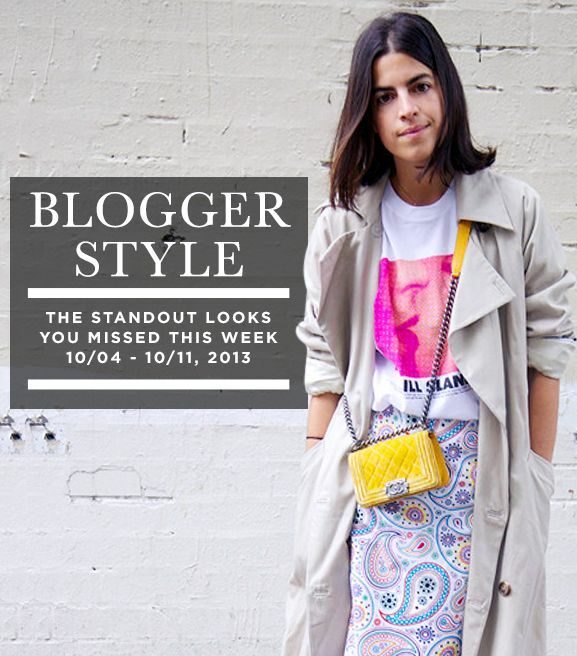 With that in mind, we've rounded up the week's 10 best blogger looks.